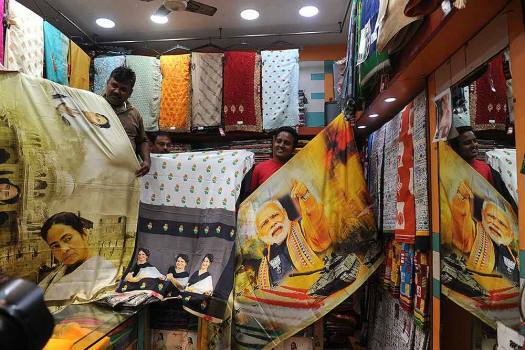 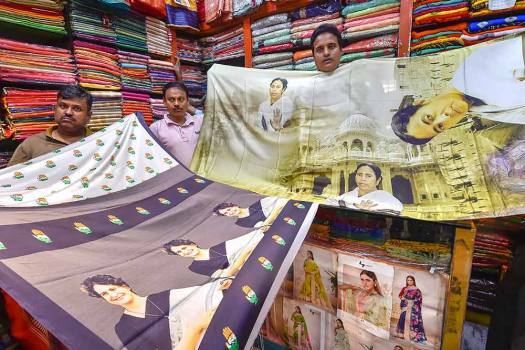 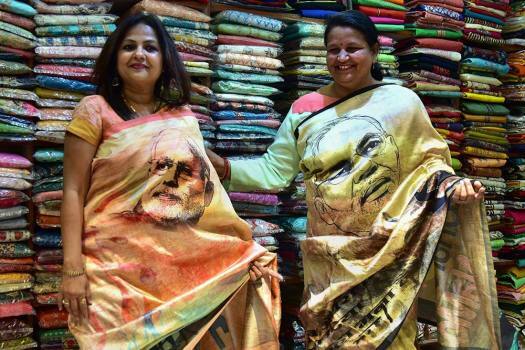 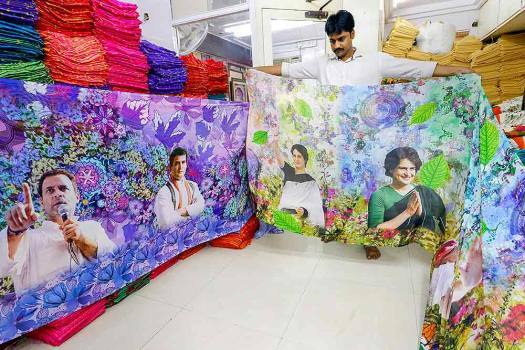 Salesmen display sarees with different political leaders' faces, ahead of Lok Sabha elections, in Kolkata. 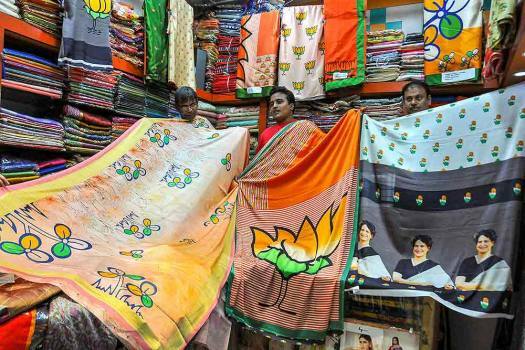 Salesmen display sarees with different political party symbols, ahead of Lok Sabha elections, in Kolkata. 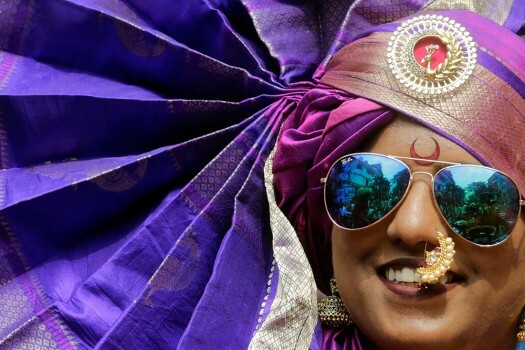 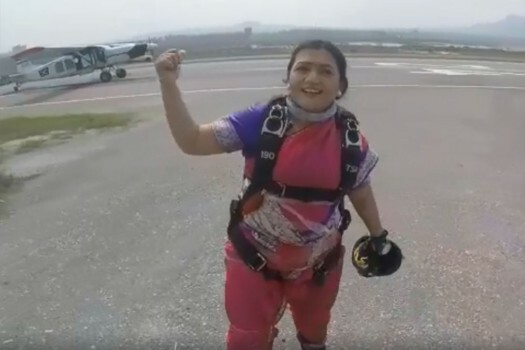 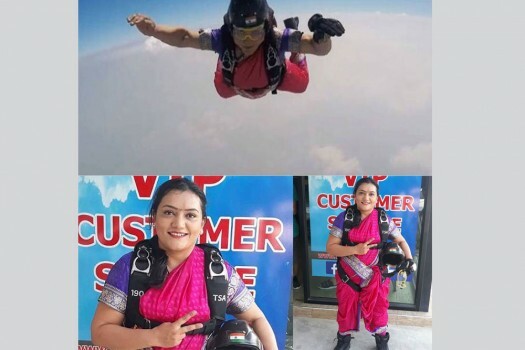 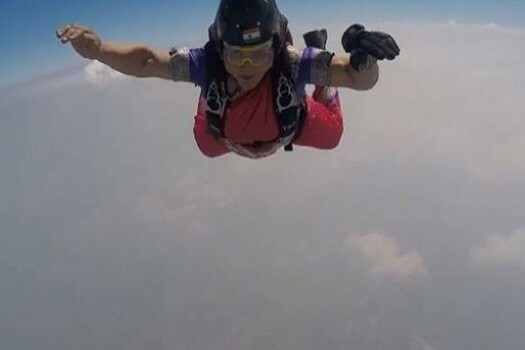 Pune adventurist ShitalRane sets record by skydiving in a colourful 'Nav-wari' saree in Thailand. 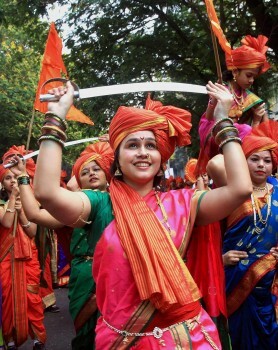 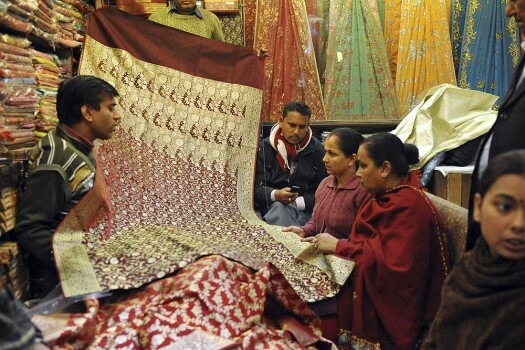 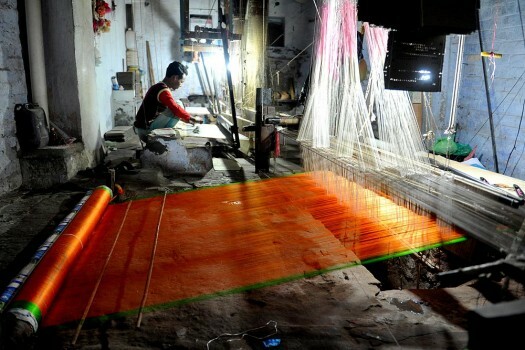 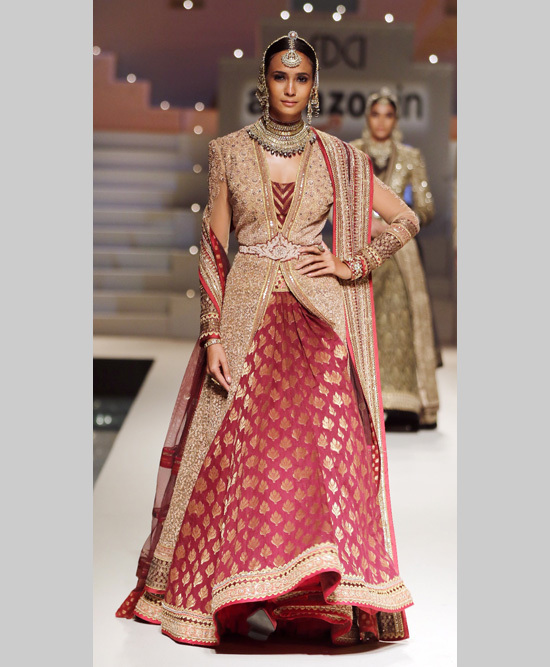 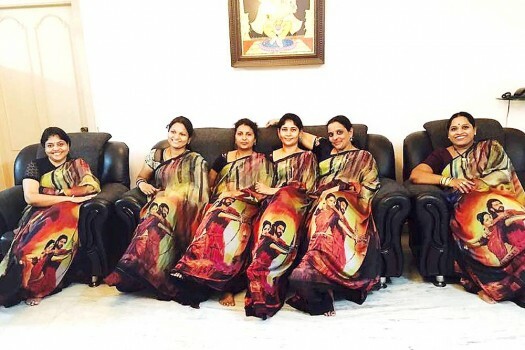 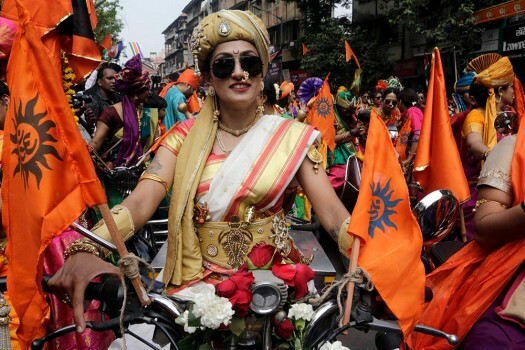 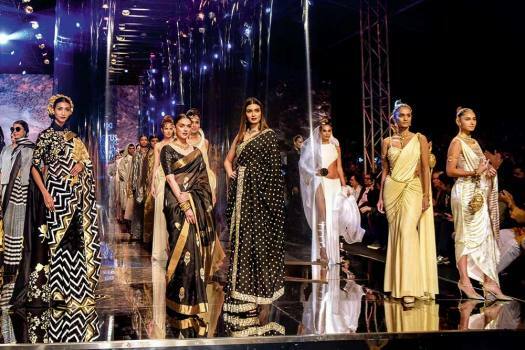 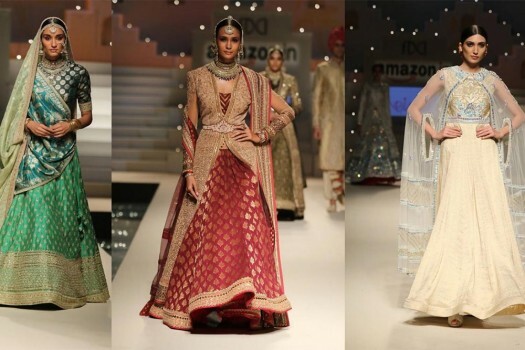 Women wearing Bahubali print sarees in Hyderabad, Telangana.